The most northerly Armed Forces Day celebration on the British Mainland was held by the Royal British Legion Scotland Thurso Branch at their Riverside Clubrooms on Saturday. Various events including a coffee morning, exhibition, illustrated talk and a flag lowering ceremony were held throughout the day. THANKS to Jennifer Gunn, Michael Stone and Jamie Sutherland-West who have al made photos available to the web site. A fast look at the local paper stories by Noel Donaldson. Home Start Caithness were presented with a Volunteer Friendly Award at a gathering in Thurso recently. Lord Lieutenant of Caithness, Anne Dunnet presented the award to Home-Start Caithness staff, Rachel & Dorothy and Linda who is one of the volunteers that visit families. By 2014 Scottish retailers will charge a minimum of 5p per bag in a bid to reduce carrier bag use. Environment Secretary Richard Lochhead announced the move today which follows a consultation that was held last year to gauge public opinion. He said shoppers would be encouraged to reuse carrier bags to cut down on the 750 million bags used in Scotland each year. Regulations will be introduced in the Scottish Parliament in time for businesses to start charging by October 2014. Closes 29th June - its easy to have a go at answering the question. Not easy to find unless you knew about them already so take look in case something catches your eye in the next few days. A group of disabled local young people from Caithness were invited to the Scottish Parliament to attend, ‘Young Scot: Agents of Change’ parliamentary reception to discuss how services can be improved to support the needs of disabled young people in their local area. A group of disabled young people aged 16-21 years from Caithness have been involved in the national project, ‘Young Scot: Agents of Change.’ Supported by the national youth information and citizenship charity, Young Scot, the project recruited five groups of disabled young people across Scotland to encourage them to explore ways in which they influence local services, particularly when moving to adulthood. Plans for a new schools and community school complex next to the existing Wick High School and Pulteneytown Academy has taken another step forward with the submission of a detailed planning application for the project. Planned is:- · a new Wick High School; · a new primary school to replace Pulteneytown Academy Primary and South Primary; and · the East Caithness Community Facility featuring a new swimming pool, fitness suite and library. The Highland Council is developing the new campus in conjunction with Hub North Scotland Ltd, who will be responsible for the design, construction and maintenance of the facilities. The application has been submitted by Hub North Scotland Ltd.
New research released today has found that great crested newts are native to the Scottish Highlands. Most experts had assumed that the newts had been introduced into the Highlands from other parts of the UK. The great crested newt has declined across its European range and is very rare across Scotland. It’s the rarest of three newt species native to Britain. DSRL is committed to the socioeconomic development of the Caithness and Sutherland area, and in particular to improving the employment prospects and “job-readiness” of local school leavers. As part of this commitment, we have contributed to the development of an innovative, industry-led event to provide young people with the practical skills and information required to support their success in moving into employment in all sectors. The event has been designed in conjunction with STEMpoint North of Scotland and North Highland College. It is open to 4th, 5th and 6th year pupils, from Wick, Thurso and Farr secondary schools and will include a combination of interactive sessions, industry visits and presentations. To date no Caithness community has had funding to buy land or property - any takers this time? Additional Funding announced for Communities to buy land and properties to help regenerate their local areas. Community groups across Scotland are being urged to explore the opportunities available through the recently-expanded Scottish Land Fund. Funded by the Scottish Government and delivered by Highlands and Islands Enterprise (HIE) and The BIG Lottery Fund Scotland, the Scottish Land Fund has already provided support for communities to buy a range of local assets to help regenerate the fortunes of their area. The accident took place on Saturday 15th in Wick. Two bodies located on seabed, Scapa Flow, Orkney. Police Scotland have confirmed that HM Coastguard notified them of, two bodies located on the seabed, 40 metres from SMS Brummer, Scapa Flow, Orkney. Enquiries are ongoing to identify the divers. The Police Scotland Dive Unit are currently en-route to Orkney to assist. Highl;and council agreed not to object to the planning application for 277 turbines just as it had not objected to an earlier application for over 300 turbines on a site adjacent to this latest one. The investment has huge potential for north Highland and could particularly affect Wick, Nigg and Ardersier with potentially an increase in jobs and other associated investments required for harbours infrastructure. See the STV video report. HIAL PASSENGER NUMBERS UP BY 8,000. Wick John O'Groats passenger traffic was up by 123% in May. Businesses in and around Caithness are being encouraged to become more involved in the construction of Spittal Hill Windfarm if approved, located just over 2km north east of the village of Spittal through a series of contractor preview events. The proposals, which outline plans for up to 8 turbines with an installed capacity of up to 24 megawatts (MW) and a height to the tip of up to 100m, would represent a capital investment of around £30 million for the area, and if approved, would present local businesses with a unique economic opportunity. Those interested in becoming more involved with the project are invited to attend a set of preview exhibitions which will form a part of the wider public exhibitions taking place on Wednesday 26th June 2013 in Watten Village Hall from 3.00pm – 8.00pm and on Thursday 27th June at the Ross Institute in Halkirk from 3.00pm – 8.00pm. The preview events will take place on both days from 2.00pm – 3.00pm. The only Caithness person to be mentioned in this years Neil Gunn Wrrting competition was Logan Mackay from Castletown Primary school. "Marshmallow Mission" was one of the 'Commended' entries in the Primary Schools section of the Neil Gunn Writing Competition, 2013. It was written by Logan Mackay, Castletown Primary School. The theme for the Primary Schools section was "They're gone, he whispered. They never saw us", a quote taken from Highland River by Neil Gunn and suggested by Naomi Munro of Alness Academy. Writers were invited to interpret this theme in any way they wished. Well Done Logan. POLICE are making enquiries following the discovery of a body of a man on Sunday 16 June in Wick. The body was found on Sunday around 13:45hrs at the foot of a cliff at the old Castle in Wick. There are no suspicious circumstances. Next of kin have been informed and the man is named as Mervyn Ahmed aged 30. A report will be made to the Procurator Fiscal. The Caithness & North Sutherland Fund recently held its 6th grant assessment round awarding £118K to seven community and voluntary groups for projects that will benefit people living in the Caithness & North Sutherland area. This latest round of awards brings the Fund’s total funding commitment to over £648K, of which forty seven voluntary and community groups have benefited. Fund Chairman John Henderson stated “We are extremely pleased to see that the Fund continues to attract a steady flow of applications and that we have been able to support a wide range of projects assisting the community to play a major role in achieving improvements for our area”. The verse speaking winners for Primary 5 section on Thursday June 13. Boys - William Mackay. Girls - Kari Durrand. William was presented with the Stroma Cup for winning the section with the most points overall. The Highland Fisheries Local Action Group (FLAG) has awarded funding of £30,098 to Wick Harbour Authority for the purchase of additional infrastructure to increase the capacity at Wick Marina from 72 to 84 berths. Interpretation panels will also be installed in the area around the harbour to promote the maritime heritage of Wick and provide information regarding the diversification process to create a modern port. A series of interpretation panels will provide information about the local wildlife and coastal walks. Wild North Competition - Win 4 nights at the Natural Retreats JoG for up to 6 people for 4 nights! Wild North is the brand set up by North Highland Initiative to promote the natural offerings of the North Highlands. A few photos and a short video clip of timber being prepared for loading on the Scot Carrier on 8th June 2013. You can easily see just how many truck loads this takes off the roads in the far north. TWO Caithness women have joined forces to help secure a bigger platform for craft producers. Susan Asher, of Sue’Nique Designs and Crafting Crofters boss, Sally Crowe decided to collaborate after pinpointing a gap in the market...no craft fairs were being held in the county at weekends, on a regular basis. A THURSO pupil is among eight finalists scheduled to compete this weekend for the title of Highland Young Musician of the Year. Clarinetist Belinda Gordon from the town’s High School will perform at Kingsmills Hotel on Sunday. The Caithness Countryside Volunteers met last Sunday (9 June) to help create habitat for the rare small blue butterfly at Castlehill. The volunteers cut back vegetation and dug out rank roots to create an area which will be suitable for planting plugs of kidney vetch, the small blue caterpillar’s food plant. One of the volunteers, Mary Legg, has been growing the plant at home from seed collected in the local area. Due to the cold snap the plugs were not big enough to be planted out on Sunday but the volunteers will return at a later date to plant the plugs. Local shops and businesses across Highland are being encouraged to take advantage of a new retailing opportunity – bagged wood pellets for domestic biomass heating systems. The Highland Council is hosting an event in Inverness on Thursday 20 June to encourage an increase in the supply of domestic biomass fuel across the area. The event is to allow engagement between producers, delivery companies, shop outlets, supermarkets, solid fuel merchants and installers and aims to identify and encourage new suppliers and improve local supply chains. Highland officials have advised that the local authority give its blessing to SSE and Repsol’s plans for the 1000MW Beatrice wind farm in the Moray Firth off northern Scotland, writes Todd Westbrook. Beatrice is a 75:25 joint venture between SSE and Repsol. It will feature up to 277 turbines around 13.5km off the coast of Caithness. Beatrice is closer to shore than EDP and Repsol’s neighbouring 1500MW Moray Firth projects, which won the support of Highland Council in March. 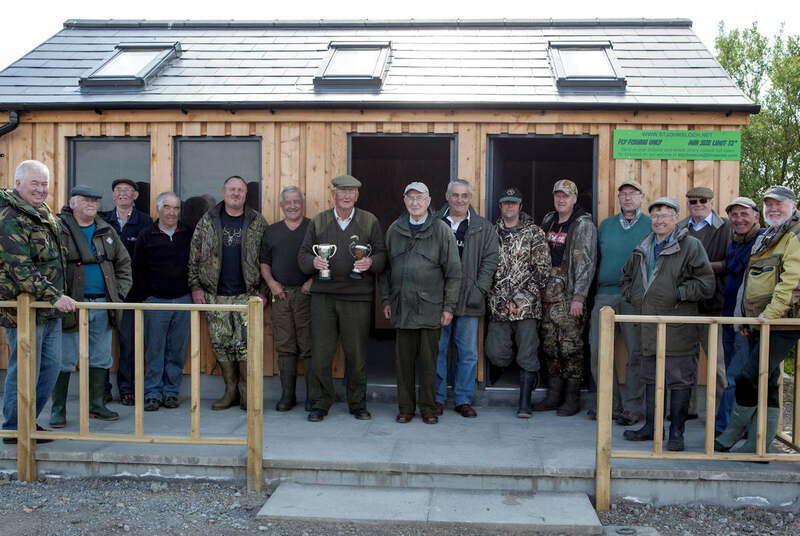 THERE was a buzz about Dunbeath harbour on Saturday 8th June 2013 as the community celebrated the restoration of a herring fisher of yesteryear. The Hamefairin yole built around 1880 was donated to Dunbeath Preservation Trust some years back but has been sitting in a shed ever since. Until, the Trust decided, that was too long and set about restoring the yole as a project. However, it has still to remain in the shed as it would otherwise require insurance. Rush.dance from the Highlands Win big At The Scottish Championships & take the chance to compete at the UDO World Street dance Championships in August. The kids of Rush.dance have just competed at the UDO Scottish Championships in Glasgow with fantastic results. International business services provider, Arise, is holding a series of recruitment advice sessions in Caithness and Sutherland to find local people interested in working from home. Highlands and Islands Enterprise (HIE) has been working closely with the US company who now have a significant presence in the UK with offices in London and Edinburgh. The company services a growing client list to develop the innovative and flexible home working project. The annual rally took place at John O'Groats on Sunday 9th June 2013. NOTE - you can see bigger photos by right clicking and opening them in a new tab or window. The fifth Scott Mackenzie Junior Football Tournament was played today at Bignold Park in Wick today and here are a few photos form the day. Police in Thurso are appealing for any information about a suspicious fire which took place at Icetech/ Norfrost premises, Murrayfield, Castletown on Saturday 8th June 2013 between between 7.00pm and 8.15pm. A Far North councillor is to deliver thousands of community surveys in a bid to gather the views of Caithness residents on issues that matter to them. 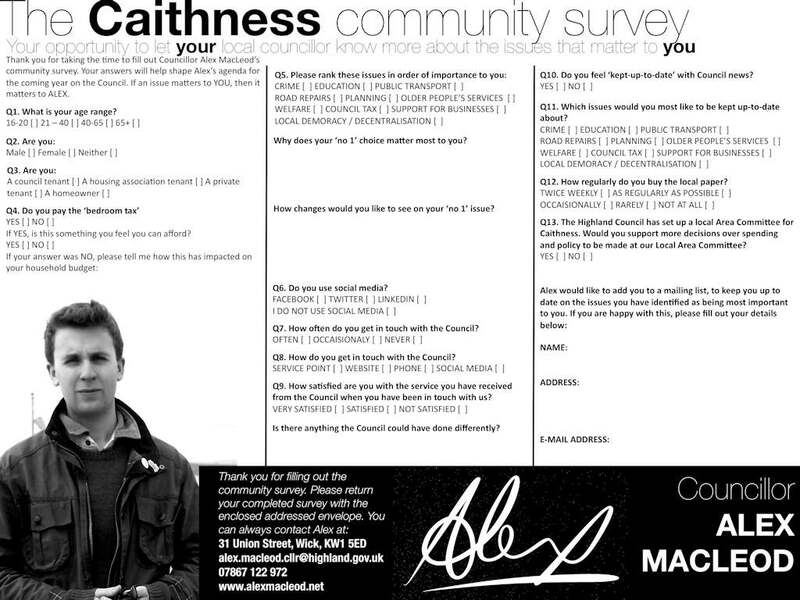 Landward Caithness councillor Alex MacLeod has launched the new survey, which features 12 questions in all and asks local people about issues from the 'Bedroom Tax' to social media. Council officials have taken action to safeguard the pubic following a fall of masonry from the North Head Memorial Tower that overlooks Wick Bay. The ownership of the memorial has to be established although it was built from a public subscription organised by John Horne a pastor who was born at Louisburgh Street, Wick in 1861. The monument commemorates the men who died in many wars and battles before World War One. A leaflet is still held in the Wick library showing his appeal for funds in which he was successful enough to build the monument at about £120. Unfortunately the listing of names seems not to have gotten further than the book "A Roll-Call Of Caithness Veterans" held in the Wick library. Highland Council’s Development Plans team will be running two events later this month to follow up on the Wick and Thurso Charrettes which took place in February. The events will be open to anyone to attend, and will take place in the Free Church Hall, Millbank Road, Thurso on Monday 24th June at 7pm and in the Assembly Rooms, Wick on Tuesday 25th June at 7pm. Please book to attend. Applications are invited for grants available from the above Fund. The Trust provides that grants may be available to:- (1) Needy and indigent ex-servicemen from the three Branches of the Armed Services; and (2) Part-time or full-time students not in receipt of grants, bursaries, or loans from educational or other institutions. Sixteen pupils from Wick High School announced as finalists in Apps for Good Awards 2013. Sixteen talented pupils from Wick High School, Caithness have been announced as finalists in a national schools initiative that enables students from all over the UK to design an application – or ‘App’ – for mobile phones, tablets or social media sites such as Facebook – and then have it created, produced and marketed to the public. Following several months of preparation, 120 students working together in 24 teams have now been revealed as the finalists in the competition. Five of those top 24 teams are from Wick High School and have been invited to attend the Apps for Good Awards 2013, which will take place at the LSO St Luke’s, a spectacular venue on Old Street in East London, on Tuesday 11 June 2013. This part of London is known as ‘Tech City’ and is the home of many of the UK’s digital companies and creative agencies. Wick High School second-year pupil, Shona Tait, has won her school £4,000 by coming top in a national engineering competition. Shona, from Reiss, has won the 2013 Scottish Engineering Schools Competition sponsored by the Weir Group for submitting a research project based on the potential for tidal energy exploitation of the Pentland Firth. Shona’s presentation included some of the great engineering achievements of the past as well as the potential opportunity for future renewable energy exploitation. This was followed by questions from the panel on her research work and how this had expanded her interest in studying engineering. Following a review of the presentations, the panel were unanimous in awarding her first place, with a prize of £4,000 being awarded to her school. The Highland Council’s Leader Councillor Drew Hendry says the Highlands is bucking the trend of declining house building in Scotland, with a very encouraging delivery of new homes throughout the region. Energy Minister Fergus Ewing has refused planning consent for a proposed 17-turbine wind farm in Caithness. Falck Renewables had originally hoped to construct 23 turbines on the Dunbeath Estate, south west of Wick. Twenty-six jobs at a financially troubled Caithness firm have been secured. Mowat Technical and Design Services (MTDS) was put into administration last month due to cash flow problems. ONE of four vital signs monitors presented to Caithness General Hospital wards by Caithness Heart Support Group, recently. Receiving it, on the hospital's behalf is its rural general hospital manager, Pauline Craw, and staff members. The support group raises funds for equipment for the hospital and GP surgeries throughout the county as well as acting as a social forum for people with heart conditions. The world’s deepest nuclear clean-up job has been given the green light by the planning authorities. A processing agreement has been made between the Highland Council and Dounreay, with planning permission in principle granted to Dounreay for the construction of plants to remotely retrieve, package and store the intermediate level waste from the shaft and silo. The site’s intermediate level waste was disposed in the shaft until 1977, and in the silo until 1998. For some reason the gorse bushes around the north and perhaps elsewhere seem to be particulary vibrant. The ddisplays around Helmsdale captured by Noel Donaldson seem to prove the point. Take a look a tthe summer programme and remeber to book the activites from 17th June onawards to have things to do in the school summer holidays. Nine area programmes for Highland the North Sutherland and Caithness on is HERE See the web site for other areas. Bookings for all the activities can be made at Thurso and Wick swimming pools from 17th June. Activities commence on 1st July and run until 31st July. Book Early. A new exhibition documents the construction and installation of the world’s first five megawatt offshore turbines near the Caithness coast. Internationally acclaimed Sutherland artist Sue Jane Taylor, famed for her work with the offshore oil industry and Piper Alpha Memorial Sculpture, has turned her focus to renewable energy in her latest exhibition entitled Beatrice Works, which opens in Thurso on Saturday June 8th before travelling to Aberdeen, Kirkcaldy and Kirkwall. Plenty of time to get your team trained for this relay race organised by Caithness Amateur Athletic Club. The race will take place on 22nd September and raise funds for MacMillan Cancer Support and Disability Sports Highland. 6th and 13th June at 7.00 pm in the Smith Room, Pulteney Centre, Wick. Ospreys have been around in Caithness for the past few years and once again one has been spotted. This time at Rumster and last year at Achavanich where this photo was taken showing one with a trout in its claws. This year the osprey was spotted by one of the posters in our forum and last year photos were published also in the forum. For this and other bird sightings in Caithness check out the Birdwatching section of our forum. See an Osprey live at loch Garten. Bite size bits of the local paper. Photos supplied in conjunction with the Coronation Meadows project launched today showing a few of the rare creatures in UK that are getting scarcer each year unless we take action to save their food and habitats. Following the successful launch last week at Thrumster Hall, Foundation Scotland is encouraging groups and local charities to apply to the newly launched E.ON Camster Community Fund. Foundation Scotland has been appointed by the wind farm operator, E.ON, to administer the Community Fund. The Foundation will work with communities local to the wind farm site to help them decide how funds should be allocated, using its grant-making expertise to ensure positive long lasting impact. The funding will benefit charities and community groups in the Latheron, Lybster & Clyth; Watten, and Tannach and District Community Council areas. The Fund is expected to distribute around £150,000 per annum for the next 25 years. There are three level of awards available starting at £250 for small grants up to in excess of £25K for large scale strategic projects. “The sixtieth anniversary of The Queen’s Coronation; what better excuse for a concerted effort to begin the creation of at least one meadow in each county?” - His Royal Highness The Prince of Wales. At the end of 2012, HRH The Prince of Wales suggested a remarkable nationwide project – a meadow in every county to mark the anniversary of The Queen’s coronation. The first stage of Coronation Meadows will launch at Highgrove House on Wednesday 5th June, with the announcement of the first 60 flagship meadows. Coronation Meadows are outstanding examples of flower-rich grasslands, surviving fragments that support our wildlife and which are often the result of years of careful management by generations of one family. The map shows the current meadows. In Caithness one meadow is on the list - Burn of Midsands at Dunnet. Plants, insects and animals are affected by the loss of meadows. The reduction is frightening with very few left. Later today we will publish photos of rare animals and insects etc to show more of the diversity we are losing by the loss of our meadows and wild areas. 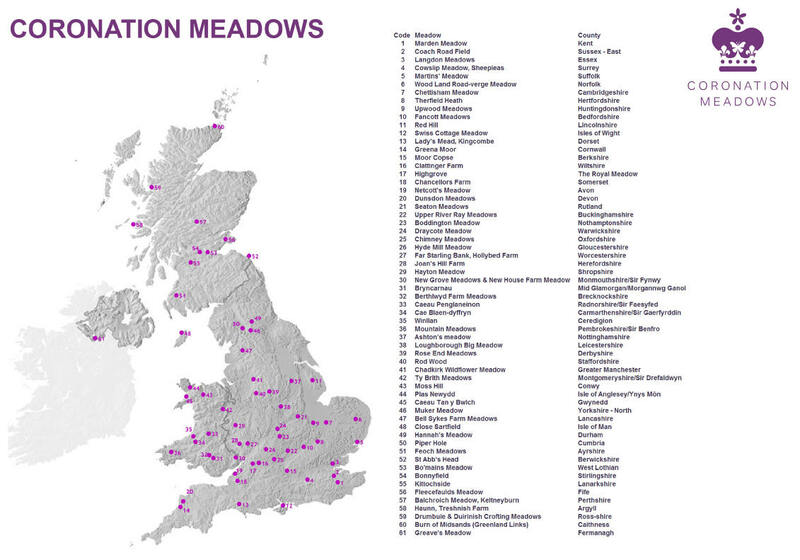 More great photo supplied as part of this project to save Britain's meadows. A special FREE cookery demonstration using Fair Trade goods will be held in Thurso next week as a part of a national tour organised through The Co-operative Membership and Just Trading Scotland. “Savour the Flavour – The African Kitchen Tour” (StF) is coming to the town’s North Highland College on Wednesday 12th June 7-9pm, and is open to existing co-operative members and anyone who registers their intention to attend on The Co-operative membership website or phones to book prior to the event. Fitness and fun rolled into one - it says take plenty of water so it must be good for you! Following the brilliant performance by world-class clarinettist, Michael Collins, in Thurso on 1st June, North Highland Connections is following it with another concert in its Young Artistes series, featuring up and coming young professionals. The concert, on 15th June, will be in the Drawing Room at Dunrobin Castle. Appropriately, the performers are The Sutherland Duo, with Harriet Mackenzie (violin), and Christina Lawrie (piano). The Caithness Countryside Volunteers hopes to attract new members to their next event planned at the Castle hill Heritage Trail, Castletown on Sunday 9th June. The group are attempting to expand the range of kidney vetch plant to create new habitat for the rare small blue butterfly. Volunteers will be removing dense vegetation and planting out plugs of kidney vetch. 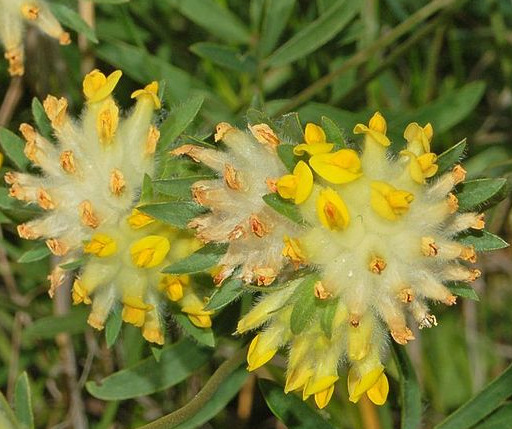 The kidney vetch serves as the food plant for the small blue butterfly caterpillar. D R Simpson the newsagents inthe middle of Wick is set to close after an announcment by the owner Davie Moss on Facebook last night. A blow to Thurso is the fact that J Bews newsagents owned by the same parosn is also closing as the business goes into administration. Wick Gala Committee have announced Gala Queen and Court as follows Queen Hannah Russell, Attendants Carys Miller & Ashleigh Tucker. Court Iona Coghill, Sarah Henstridge, Katie Cass & Leah Sinclair. Herald Elliot Cormack. Policymakers expecting volunteers to play a bigger role in delivering local services may need to re-think their strategy for rural areas, according to research led by Scotland’s Rural College (SRUC). In a study published during Volunteers’ Week (1-7 June), SRUC’s Rural Society Research Team and Stirling University found Scotland’s rural volunteers often undertake roles to fill gaps in service provision such as providing transport, acting a ‘first responders’ in medical emergencies and doing odd jobs. They are likely to volunteer across a larger number of roles but spend less time in each one. This differs from towns and cities, where volunteering is less service orientated and people divide their time across fewer roles. Annual Sprint Triathlon takes place on Sunday 9th June - 750M swim (30 lengths), 20km cycle and 5km run. Registration at Wick Pool from 10.30am to 11.30am with the event starting at 12noon. Individual Entries can be made on entrycentral.com Team entry forms are available at Wick and Thurso Swim Pool. T-shirt and medal for all competitors and refreshments served after the event. Ormlie Community Association Ltd sought to tackle fuel poverty through its Caithness Energy Advice offshoot. Following a successful pilot and the purchase of a thermal imaging camera, in 2008 the Association launched ‘Fill the Gap’ with support from LEADER. Thurso Thespians The Thurso Players bring a rare experience of theatre to audiences along Scotland’s northern coast. The company puts on a varied, year-round programme of performances and workshops for adults and children. Itowns and manages the Mill Theatre. Pride in past place. Brochs have been part of the Caithness landscape since these dry stone towers were built uniquely in Scotland 2,000 years ago. Local people wanted to put community at the heart of their story, in celebrating the broch builders and excavators and exploring how brochs instil a sense of place today. Boating Pond Play Area Designed in the 1960s, the Boating Pond Play Area in Thurso was more than showing its age. The Thurso Town Improvements Committee identified a lack of familyfriendly, outdoor leisure facilities for local people and visitors. It consulted with young people to find out what they would like and involved them in planning the site. The largest crowd at the harbour since the heyday of the fishings. Around 1850 Dunbeath was one of Caithness’s top three fishing villages until lack of a proper harbour resulted in the ‘chase for herring’ moving elsewhere. Local families still retain connections with their seafaring past. News this week that an amazing 5 of 24final teams competing for the UK “Apps for Good” come from Wick High School. Wick High School is the first in Scotland to enter the competition, which will take the teams to London for work experience (“hothouses”) with high-tech companies in Tech City in London before making “dragon’s den” pitches for their app ideas. Apps for Good is an organisation that encourages young people to use new technologies to design and make products that will make a difference to their world. Well done to the Wick high teams for so many getting to the finals - looks like Wick is building a high-tech future if these teams are anything to go by - keep the ideas flowing. Well done again! Get your event noticed - Voluntary Groups, Businesses, Restaurants, Galas, shows gigs, sport meets, weekly club dates - we know there is much more going on so get it advertised for FREE. Use the submission page - takes a minute and reaches thousands.